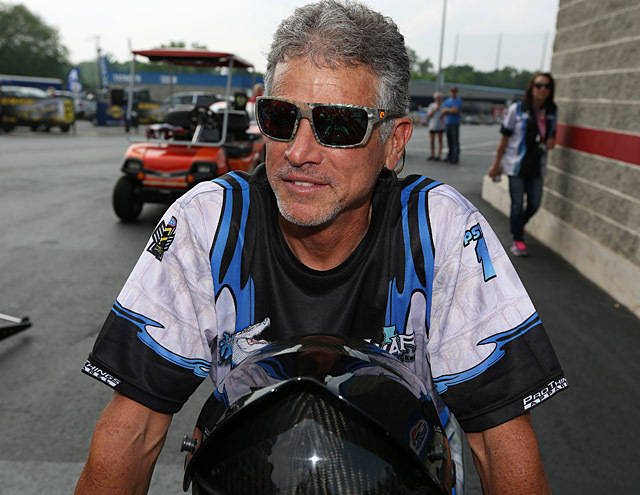 No two-car or two-bike NHRA team is dominating a class the way White Alligator Racing (WAR) is in Pro Stock Motorcycle. 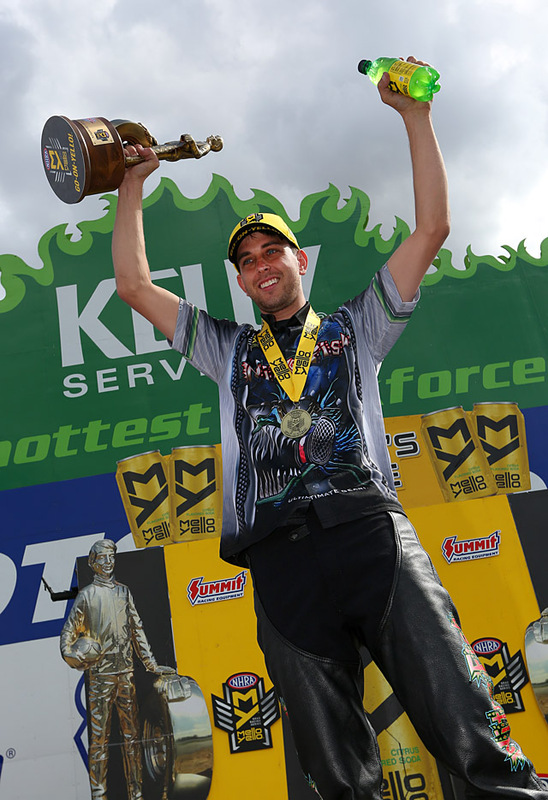 The Louisiana-based Suzuki team has won four straight races in the Mello Yello series and qualified number one in the race they let get away. 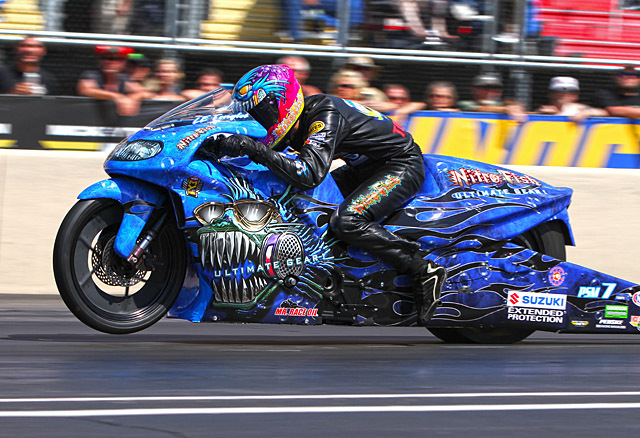 After years of trial and error, platform and personnel changes, and this year the expansion to two bikes, WAR is the hottest team in drag racing. Those days before Savoie’s first Wally are quickly disappearing in the rearview. Savoie nearly won the championship in 2015, completed the deal in 2016, and with tuner Tim Kulungian and new teammate LE Tonglet, is showing that the groundwork he laid for a successful and sustainable team operation is bearing winning fruit. Even with Savoie as the defending champion, his team is achieving new milestones with nearly every win. Tonglet’s Four Wide win in Charlotte was WAR’s first with a rider other than Savoie. At the very next race in Atlanta, the team had its first all-WAR final. Then after winning at Englishtown, alligator farmer Savoie had to skip the next race at Norwalk. With Tropical Storm Cindy putting his gator nests under three feet of water, his two egg-spotting helicopters and fleet of LS7-powered airboats had to throttle up and go further afield to find the nests to keep his farm afloat. 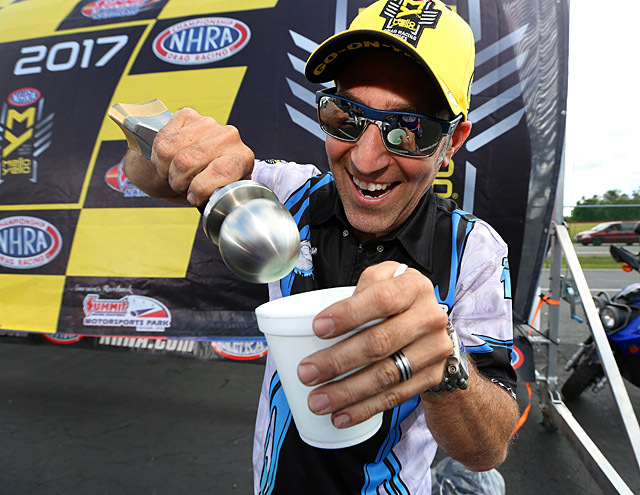 So when Tonglet outran number one qualifier Matt Smith in the final and won Norwalk’s famed ice cream scoop trophy with his Nitrofish Suzuki, another major milestone for WAR was achieved. Proud rider Savoie may struggle to admit it, but the successful and hard working businessman Savoie can admire this one. It was WAR’s first win without the team boss at the racetrack. Ask Don Schumacher, Joe Gibbs, Roger Penske, etc—that’s a big deal. That’s years of building a team that knows how to achieve it’s objective and function as a winning machine. Perhaps the best decision Savoie has made since he bought Don Schumacher’s motorcycle team before the start of the 2011 season was to hire and then promote Kulungian—a data driven workaholic who parses words as specifically as he programs the Suzukis’ Motec ECUs. The look on Kulungian’s face this season as he struggled to field two competitive bikes has been one of being completely overwhelmed, and yet the results have been stunningly successful. Waiting for the right match to ride the second WAR bike was another good move by Savoie. Riders had coveted the seat for a year without a deal being made. Tonglet—trained to win by his dad Gary and brother GT practically since birth—won the championship in his rookie year of 2010. But repeating that success proved difficult for his small family team. Now with WAR, LE has the chance to show what he can do when the budget is there. Not running well enough to knock Smith off number one qualifier, but enough for the team to know they had a good piece to work with on raceday. “The whole weekend we were two hundredths behind them and I didn’t see any winlights in qualifying. But I saw it today and that’s the only day that counts. Tonglet then beat Kulungian’s former employer Steve Johnson in E2 and number three qualifier Hector Arana Jr. in the semifinal to set up the showdown with Smith. And with the WAR team solving problems and running as successfully as Savoie’s alligator farm, LE and Jerry might be racing each other for most of 2017’s PSM Wallys. Jerry Savoie, Tim Kulungian and LE Tonglet thank everyone at Vance & Hines http://vanceandhines.com , PJ1 http://pj1.com/ , Mr. Race Oil http://www.mrraceoil.com/ , Motec http://www.motec.com/ , Denso Spark Plugs http://densoautoparts.com/ , Kenny Koretsky and Nitrofish https://nitrofish.com , tuner Tim Kulungian, crewmen Jeremy Deroche, Steve Zelem, and Chris Parker, their families, and the staff of Savoie Alligator Farm. 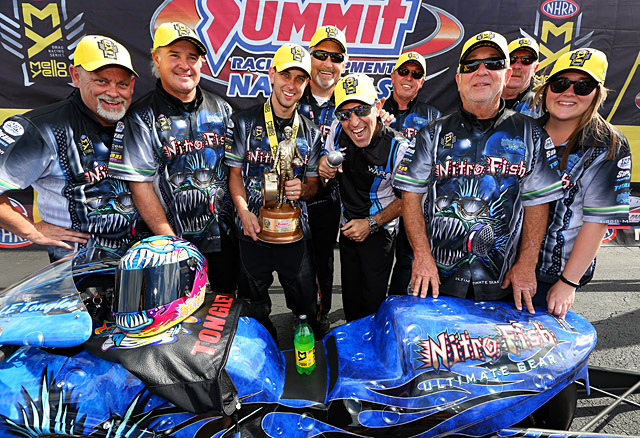 The White Alligator Racing team races next on July 7-9 at the Fallen Patriots Route 66 NHRA Nationals, Route 66 Raceway just outside of Chicago, Illinois, USA.